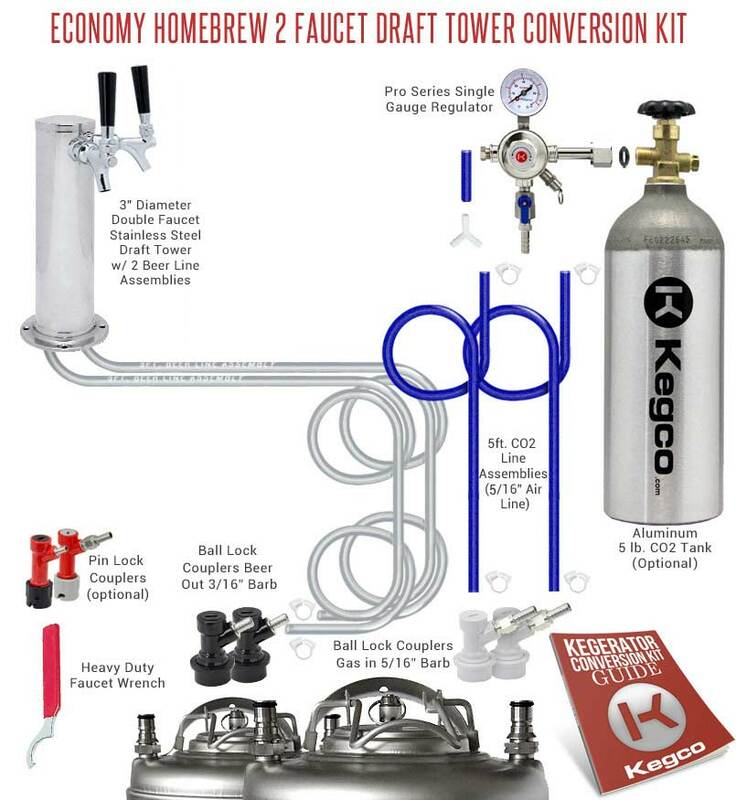 Featuring the same great 3" diameter draft beer tower found on many commercial kegerators, Kegco's Economy Homebrew Two Faucet Draft Tower Conversion Kit includes everything a beer lover needs to convert a compact refrigerator or chest freezer into a professional looking two product homebrew beer dispenser! Specially designed for ease of use and superior performance, this kit is made up of high quality commercial-grade parts like a user-friendly pro series dual gauge regulator and your choice of ball lock or pin lock couplers for a dispense system that is built to last. Depending on the capacity of your refrigerator, this kit should allow you to dispense up to two kegs of home-brew beer at a time. Every Kegco conversion kit includes easy-to-follow detailed instructions, and our helpful product specialists are available at 1-800-710-9939 to answer any questions you might have.